My experience with Rick was exceptional. I entered into the mortgage process with a slight feeling of overwhelm. It was all quite scary at first. Rick provided such exceptional guidance and reassurance. He guided me every step of the way. His friendly demeanor and professional straightforwardness was very comforting. Entering into the mortgage process involves a lot of stressful research and paperwork. His reassurance and guidance truly made the entire process flow evenly and productively. 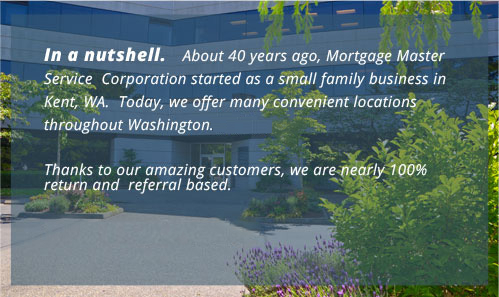 I highly recommend that anyone entering into the mortgage process have Rick on their team. He is an excellent team organizer. He worked diligently with the real estate agents and the underwriters. He patiently and joyfully took all our phone calls and answered every question always leaving us reassured and confident. Truly, I highly encourage and recommend anyone looking to go through this process to contact Rick. He is professional and to the point. But at the same time he is reassuring and constantly has your back. Through the whole process he felt like a safety net. I will always be grateful to Rick. I highly recommend him with full confidence. Chris was very responsive and was always available to take questions regardless of time of day. He was very proactive and reached out to us often to keep us informed of the loan process. Great job Chris! From the first time I met Tom he made me feel like he was a professional and it felt like it was the right place. Very Satisfied. As clients of Tom's for approximately 7 years, we can honestly say that Tom and his team are top notch! Our recent refinance process was exceptionally smooth and closed quickly. Tom possesses all the qualities you look for in a lending professional. He is honest, hardworking, personable, and dedicated to getting the job done. We will continue to recommend him to friends and family, as well as remain loyal clients for many more years to come! Thanks Tom for all you do! From beginning to the end I felt like I was in good hands. I felt comfortable and whole process made me feel at ease instead of stress. They went above and beyond to get the process done. I had a great experience as a first time home buyer. Tom and Thai were always helpful and responsive with any questions I had. We managed to close early. Julie is a top notch professional who made the loan process simple and efficient. My husband and I just signed the final papers for our new home today, which would not have been possible if it weren't for Tom! We had spoken with four lenders before we found Tom & he was the only one who really broke it all down for us & got stuff done! He made our year-out game plan, a RIGHT NOW game plan & we couldn't be more thankful for him! He was on top of everything constantly for us, even when I called before business hours one day freaking out and left him a voicemail, he STILL called me back within minutes even though he wasn't on the clock & was right there to calm me down and reassure me! He is so personable & great to work with. Tom genuinely cares about his clients and it shows, which lets be real, it's really hard to find people like that these days. I HIGHLY recommend him to anyone trying to buy a home!! I promise you, you will not be disappointed! Tom and his team made the home buying experience easy and stress free. I always knew what was going on and the communication was amazing. Thank you for making my 1st home buying experience so great!! Everything was a easy and quick process and Tom kept us up to date with everything going on. Didn’t feel any stress and extremely happy with where we went to buy our first home.Things were perfect! The whole loan process was so easy. You always let us know what step was next so we never had to ask what was going on. We pretty much could call you any time and you always answered our questions promptly and with a great attitude. We'd highly recommend! You've got the loan process down to a science! Our real estate broker Michelle Caputo introduced us to Mortgage Master Service Corporation where we met the loan officer Teresa Soulier, she is the sweetest. She helped us understand the loan process and helped us get all the documentation we need to apply for a loan. Held my hand and made sure we understood the process of the loan. She's very efficient and knowledgeable about her job from the beginning to end of the loan. The head loan Processor Nicol was very efficient in her job and she made sure we closed time. Thank you again from our house to yours; Teresa, Nicol, and the whole staff at Mortgage Master. I am so thankful that my real estate agent connecting me with Mortgage Master. I was selling my house and purchasing one at the same time and was very unhappy with the service provided by my bank institution. My agent convinced me to connect with Tom Boltz. I wouldn't work through anyone else again. Thank you! Mortgage Masters was recommended to us by a friend. We applied and found out we couldn't start our mortgage process for another couple of months. Our fault, not theirs. As soon as we could we reapplied and were able to get start right away. Michael Hovey was very informative and let us know exactly what documents were needed and provided and easy way of sending them. We lived much further away from his office. The distance worried me but it was all very easy. 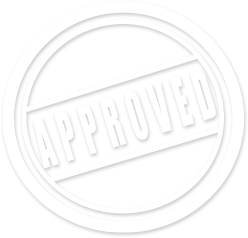 We hit some snags with the loan company but Michael and Danielle were very professional and quick to take care of the issue (said issue was not due to myself or Mortgage Masters) and we were able to close on our home in a fairly quick time frame. Tom and Thai were very attentive and helpful in my first home buying experience. They put me at ease throughout the whole process. The closing fees were five thousand dollars cheaper with Tom than with my bank. Gloria worked extremely fast and efficient. She was great with communication and answered any questions I had. Gloria was a pleasure to work with! Very nice people. They made buying my first home, quick and very easy. The best part of the experience was Julie's availability. Julie was very approachable and easy to communicate with. She encouraged communication either through phone, email or text, and on weekends, which is particularly helpful for offers made on the weekend that require a custom pre-approval letter. I was pleased with the service mainly because it was hassle free and able to close on time and I was kept up to date with the status on my loan.